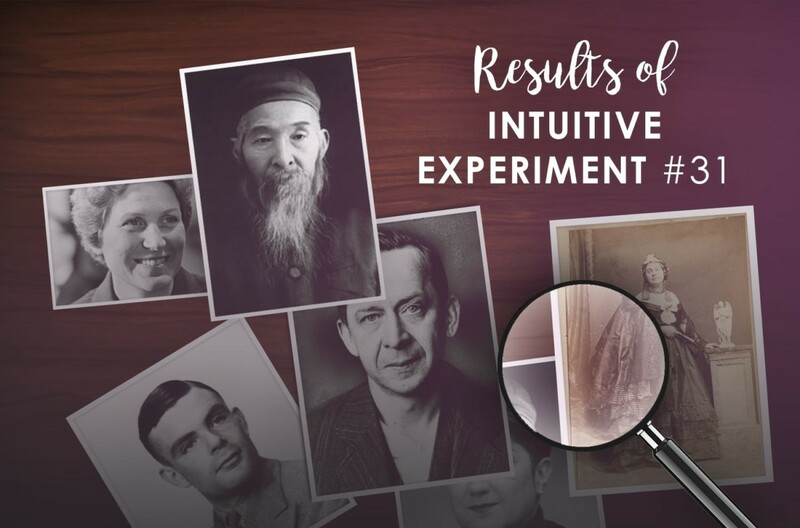 Who Was The Man In Intuitive Experiment #31? The man in this experiment is Christopher Langan, who has been hailed as “the world’s smartest man” by a number of journalists and publications. His IQ has reportedly been tested as between 190 and 210, and he has developed a theory of mind and reality that he calls the “Cognitive-Theoretic Model of the Universe.” This theory seeks to offer explanations for aspects of the universe that science has previously been unable to quantify. 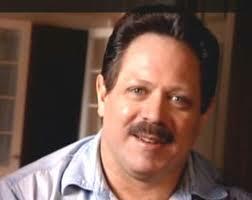 Born in San Francisco in 1952, Langan is the son of an heiress who had been cut out of her family fortune. He has never known his biological father, who either died or left the family before he was born. As a result, the family lived in poverty, and moved around a great deal. After having two more sons with a struggling Hollywood actor, Langan’s mother married a violent alcoholic, who abused Chris and his brothers throughout their childhood. He would line them up for faux military drills in which he threatened to hit them, and then actually did strike them if they flinched. Langan refers to this phase as “10 years of boot camp,” and he was constantly covered in bruises. When Chris was 14, his stepfather woke him in the middle of the night by hitting him in the head with a belt wrapped around his fist. Chris, who had been training with weights as a form of self-empowerment, finally fought back and threw his stepfather out, telling him never to return. Thankfully, he didn’t. Langan taught himself to read at three, and skipped the first two years of elementary school, beginning his education in the third grade. Due to his high intelligence, Chris was often singled out for being the teacher’s pet, and was subjected to bullying and beatings by his fellow students. He spent the later years of high school studying independently, teaching himself advanced subjects such as math, physics, and classical languages. Langan claims to have earned a perfect score on the SAT, even though he reportedly fell asleep at some point during the test. Christopher earned a scholarship to Reed College after high school. However, he lost that scholarship after just one semester because his mother forgot to submit his financial aid form. Next, he enrolled at Montana State University, but after one semester the transmission broke on his old car and he did not have the funds to repair it. This meant he had to walk fifteen miles every day in the wintertime and could not make it to his 8am classes. He asked to be transferred to the afternoon classes but his request was denied. As a result, Langan decided to abandon his University course. He was frustrated by his studies in any case, because he felt he knew more than his professors did. Since then, Langan has written several papers on the origins of the universe, but without a degree, Langan found he was not taken seriously in the academic world. As a result, Langan’s adult years have been a long series of blue-collar jobs, including cowboy, firefighter, construction worker, and bouncer – an occupation which put his 6-foot, muscular frame to effective use. He currently owns a horse ranch in northern Missouri with his wife Gina, who is a clinical neuropsychologist with a reported IQ of 168. Langan formed a collaborative nonprofit corporation called the Mega Foundation in 1999, with the aim of creating programs that “aid in the development of severely gifted individuals and their ideas.” The organization is designed for those with IQs of 164 or higher. He was contracted by Disney Research at one point, and also worked for a tech company called Virtual Logistix, where he produced original research in several advanced areas of mathematics. In his spare time, Chris works on developing his Cognitive-Theoretical Model of the Universe, or CTMU (pronounced “cat-mew”). This theory suggests that science, which can technically only measure that which is real and observable, cannot do so without the involvement of the mind and mathematics, which are technically not real or observable. Therefore the mind is intrinsically bound up with reality, and cannot be separated from it. Langan feels that the collective of all minds in the universe and their connection to reality constitutes proof of God and the soul, and that each person is a microcosm of the mind of God. Thus he believes that his theory encompasses philosophy, religion, and science in one cohesive explanation, which is something that other theories have failed to do. Whether his ideas are supportable or not has not fully been established, and Langan has yet to find a publisher for his work. Many other scientists find his proposition to be controversial, and based at least partly in a reworking of the semantics of commonly known terms. But as with many complex theories, the jury is still out at this point, and Chris remains deeply passionate about his project. As Ana2 pointed out, Langan’s early life was full of struggles and difficulty, and he was much closer to his mother than to his abusive stepfather. He did move frequently as he was growing up, and worked in construction at one point. Great work! Mon was also correct in noting that Chris has a dominant personality, with very strong opinions. He worked for many years as a bouncer, and is known for strenuously defending his theories in lengthy and complex terms online. He is famed for his intelligence, was born in San Francisco, and spent most of his life in professions involving manual labor. Lots of specific hits there, so kudos! Langan does indeed live on a farm with horses, as Mere Dreamer pointed out, and is also involved in mathematical and scientific pursuits. Several of you (such as Walter and Celeste) picked up on the double life that Chris leads, and the interesting dichotomy with his intellectual work. This is definitely a case in which you can only partly judge the book by its cover, so great work to those of you who were able to see either side of his character, and especially both! Warren and Christina seemed to pick up on the essence of Langan’s research work, and Fritz Thommas is right in saying that Chris is concerned about the future of the planet. He is a proponent of “benign eugenics,” which he believes will help to combat the problem of overpopulation. Langan feels that people who possess the highest levels of intelligence are best suited to solving some of society’s most difficult dilemmas. Overall there were too many hits to mention everyone individually, but I saw a lot of excellent work on this experiment! Hi Anna, Whenever I have participated in a workshop, learning how to do readings, I found I always shut my eyes…and opened my mouth to ‘rattle stuff off’. Or I wrote furiously. I would love to know if you are influenced at all by studying your clients’ features (in photos) or do you simply work on what comes through to you…feelings, information etc? I realise everyone works differently but am particularly interested in how you ‘work’. I might also notice things about the person’s superficial appearance right off the bat but I don’t study their features. Sometimes there is something superficial I notice that opens up the channel and yields more info. For example: “she has a lovely smile and looks quite sweet’ and then that leads me into more detailed info about the person’s life and character from there – it can be something that reinforces the impression gained from the physical appearance OR it may lead me away from that. Facades sound like there is an element of deception involved, but they are not necessarily sinister – most people use them, and they can sometimes be a result of social conditioning. An example: a lady whose photo I read projected a beautiful, almost angelic sweetness and gentleness. Seeing beyond that facade, it was also clear she had vast reserves of strength and courage. In addition, she could be ruthless and did not suffer fools. I imagine she would be underestimated by other people on a regular basis due to the personality facade she projects. So that’s what I mean by being led away from initial impressions – we all contain multitudes and sometimes these multitudes conflict and we project something that might not represent very well the totality of who we are on the inside. Please leave a response in the comments. Move on to experiment #32! And finally, the more experienced you are in reading photos, the easier it becomes to get past facades and get to the heart of who someone really is. However, practice is not the only factor in reading people successfully – having a good technique helps, too! 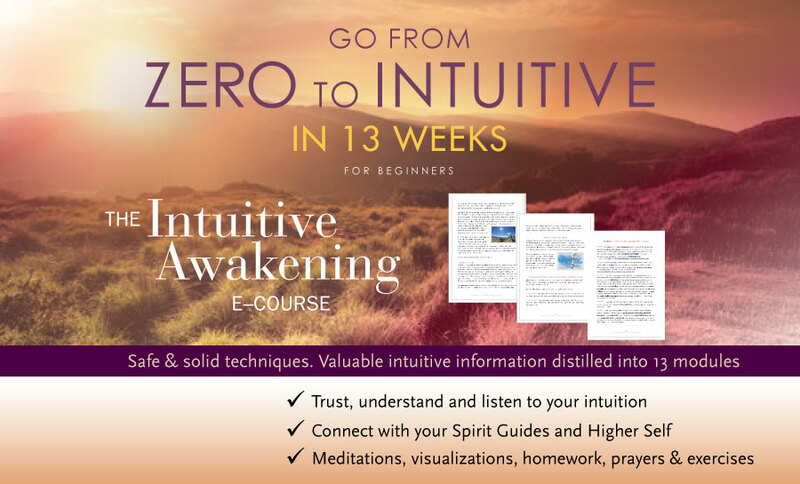 If you would like to learn the method I personally use for reading people, check out my Intuitive Awakening Course which has been taken by 1500+ intuitive developers. Anna, thanks for the lovely feedback. I’m really appreciative of your recognition since I’ve attempted all 31 Intuitive Experiments! Each time taking notes and recording my clues and symbols with the interpretations that fit. I’ve definitely improved with all this practice! So thank you for continuing these experiments, as I look forward to the new one every time! Hi Anna very much thanks for this opportunity. It was a great experiment and I never thought this guy was a state over from me, but now I got a few things right it kinda boosts my confidence to do better in your intuitive class. Highest blessings to all. and I could not put it together towards what he is sad, but he has an incredible kindness about him. This is what I got most out of him and that there is some great spirituality about him. With this kind of IQ in can be very frustrating to a person. My son is above 164 and of the chart and it is very hard for these people to be in the mainstream as they do know more then most. Everyday life can become a struggle as well, because their mind races and work on many things at the same time. What a story, I will read up on him as I think I can learn something to help my son and grandchildren as they all seem to have this problem, except of one. Hello Ann, I hope you are having a grand time in your new surroundings. You look as if you are happy, glad about that. I left a note of how I felt about this person, not sure you received it. Love those experiments, it certainly helps me not to question everything but to let the intuition flow. I am a person that questions everything and overthinks. Have a super week and love to hear from you soon. Hi Isabella – nice to hear from you! It sounds like you have a few hits there. If you want to find out more about this man, Malcolm Gladwell’s book Outliers is a good source of info on him. I was so glad to see this experiment in my inbox, Anna! I’m late to the party, but I couldn’t get much past that I felt this person was trying to “do good” but kept failing or hitting setbacks. It was like he so badly wanted to “do good” or “achieve” but couldn’t. I wasn’t sure if he had good intentions but fell into something corrupt (I always seem to default to morbid), but I feel satisfied with what I picked up on based on this summary. I’m looking forward to commenting on the next experiment before the results are in! I also wanted to comment on Valda’s question: Valda – I stare right into the eyes and nowhere else. Then, it’s as if my mind races with information “bubbles” that pop up about the person. I usually then “look around” to get more information or elaborate, but this information is never as connected as my initial one. I think the way that each of us are intuitive can be linked to what we have learned and experienced in previous lives, and I think it’s so so cool that people can discover the same information in different ways. I honestly found this experiment extremely puzzling and I understand why now. First off, I got such an overwhelming sense of pain ( physical, mental, emotional, etc. ) that I was physically ill for several days. Pain seemed to be leaping from him in waves. I took a break; looking at his photo a second time, I was prepared for the pain (empath in the house) so i was trying to go deeper. On my second attempt I picked up the word teacher. As I probed deeper into that I got the word counselor. This was also confusing because it seemed to waffle between profession and something less clear. As I moved still deeper I had a first. .i could clearly see this man trying to herd people down a corridor, away from a huge fire. I heard the screaming and running. Then, more confusion for me, as this blended into a similar but different vision of him herding people away from a young man with a gun, firing many bullets. It seems as though, perhaps in his professional experience, he had consistently puts himself in harm’s way to rescue others. This was confused further by my feeling that he could be either a savior or an extreme aggressor, depending on the situation. I was once again, overwhelmed and had to take a second break. I am clairaudient and a strong empath, however, this is the first time I was both feeling, heating and SEEING, from reading a photograph. On my third attempt, I picked up a clear sense that this was not someone to trifle with and does not suffer fools gladly. I almost didn’t post anything at all because, as I said, this one was overwhelming. To speak to Valda’s post; I look straight into the eyes and try to leave everything else purposely blurry. This brings me a wealth of information which is hard to believe. Once I have done my “deep dive” and have clear notes, I will look at the superficial of facial features and such. Then, lastly, I do a sort of overview and see if I can either clarify or glean any further information. I do this by asking probing questions, just like Anna has shown me by reading her blog. Best luck to you. Hi everyone, thanks for sharing your techniques and experiences! My first time trying this. Someone recommended you to me in a Facebook group and this post was listed on your page. When I saw his picture I did get conflicting information about him in that I thought he was trustworthy but then I thought he was a perpetrator of some sort. I kept seeing a child in danger, but I thought he was the one hurting a child. However as I listened to my intuition I saw the pain was in his heart. I sensed loss and sadness, but I thought it was from something more present like losing a child. The victimized child was a prominent part of what I saw. I didn’t see physical abuse. I saw a child that was scared, alone, frightened and threatened. Interesting that you had a reader named Valda — as my name is Valda (quite unusual), and I thought –for one brief moment– I might have communicated with you while dream-walking, or something! I had looked at this photo, and then decided not to take the experiment, because I kept feeling a confusing dichotomy of emotions when I saw this man. He looked like someone who’d gone through a lot of hardship, yet there seemed to be money in his background. He looked as if he’d worked in/owned a pizza joint (blue collar), yet had a refined mind — that of a classical music major… I was dealing with emotional fall-out from having had a reading and decided to focus on that instead. Another funny thing Anna Sayce — have you ever visited Miami? The very first time I read one of your emails — about three or four years ago — I could have sworn I’d met you in person, at a curio shop. Odd. Oh and by the way, I forgot to add that I am not the Valda referred to in this article. And also, I do read features. My take on Physiognomy is always spot on, so I do not read what others do — I seem to pick up what’s hidden. Hi Valda – Oh how funny – no it could not have been me you saw in Miami, as I have never been there… but I did visit Sarasota, FL a few years ago. I so badly want to understand his CTMU, I read through the whole thing, but goodness, it’s well above my paygrade. I need an “Explain it like I’m 5” version. Lol….Clearly a brilliant man. I didn’t do the intuitive experiment. (I mean I glanced at the guy and thought he was some kind of thief. I guess I’m wrong on that one.) But I don’t entirely agree with Malcolm Gladwell’s explanation for why this guy is not successful. First off, I can’t believe that it’s 2017 and I’m still hearing people using IQ as a measure of intelligence. AFAIK most IQ tests assess a very narrow range of skills that require a specific kind of lateral thinking. They are usually along the lines of basic math problems, finding patterns with numbers and pictures, and knowing definitions of words. The math problems are no more than high school level (if they’re even that—usually they’re easier). The number patterns are generally some combination of repeated addition and multiplication, and the picture patterns tend to be recognizing basic transformations like movement, reflection, and rotation. Even if we *are* assessing someone’s math abilities, getting all the questions right on an IQ test (thus getting a high IQ score) is *very* far from achieving the pinnacle of intelligence. A score on a math Olympiad might be a better measure for this. SAT math problems are NOT known for their difficulty, by the way! I don’t know the current status of research on philosophical foundations so I don’t know if these are new ideas, but I do feel the accessibility aspect is holding them back. His full paper is 52 page long and seems to be communicated in a similar style. (http://main.megafoundation.org/Langan_CTMU_092902.pdf) CTMU might become more interesting for more people if he just… explained it better. If he’s inventing a new formalism (i.e. SCSPL), then it’s especially important that his readers can understand what he means. Perhaps he can try separating his philosophical commentaries from the meat of his ideas?